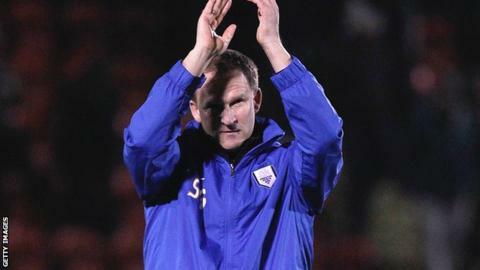 Preston manager Simon Grayson enjoyed winning 1-0 at leaders Leyton Orient but says the result will mean nothing if they do not back up that success. Joe Garner's first-half goal since 23 February. Grayson told BBC Radio Lancashire: "We said to the players 'let us be the ones that can go there and be the first team to win in a long time'. "We're certainly capable. We've got the players to hurt any team on their day." But the former Leeds and Huddersfield boss continued: "Just because we've got a result, doesn't make us the finished article. "It's going a long way to helping us progress but we have to replicate the same performance next week against Colchester at home." Despite their victory, North End dropped a position in the table to fifth, but now have a six-point gap between themselves and Bradford in seventh. After Garner's 33rd-minute volley, Preston turned in a gritty display to keep their seventh clean sheet in the league this term. "They're not at the top of the division and had the run they've had for no reason," said Grayson. "When we had to battle and scrap, we did that. The overall performance was excellent."